Sea Pines on Hilton Head Island with its iconic, historic lighthouse by night. 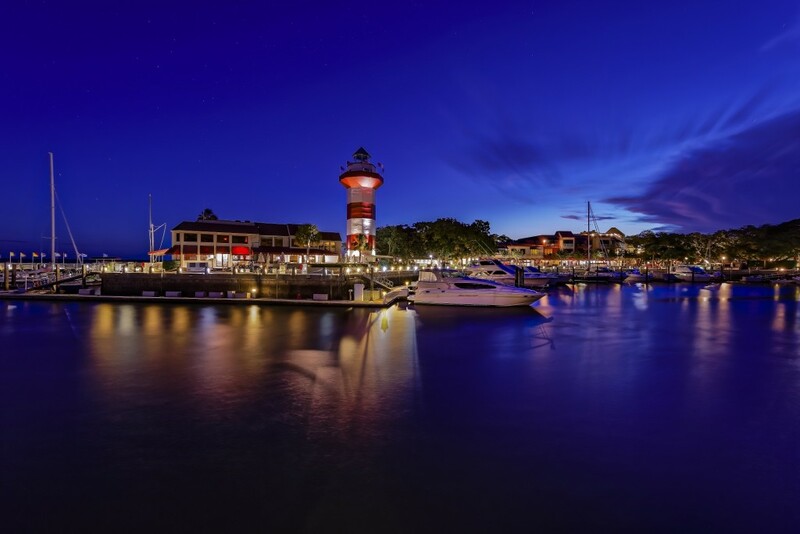 Hilton Head Island’s intoxicating air of relaxation is second to none. 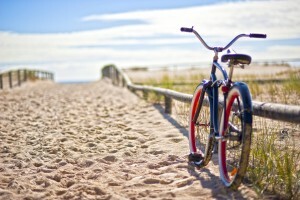 Supremely family friendly, the whole island is interconnected with well-marked and safe bike paths, family shopping and entertainment areas, natural refuges, and of course miles and miles of wide, sandy beaches. The South Carolina weather doesn’t hurt either, as it provides the perfect temperature to lounge by the pool or grab a tropical drink at a beach bar. Take your relaxation to the next level at The Village at Palmetto Dunes, located in one of the most well-known communities on the island, just 200 yards from the beach. One or two bedroom lofts and studios are available, and a pool, hot tub, tennis courts, playground, waterside picnic tables and barbecue grills round out the amenities on site. The great thing about Hilton Head Island is, there’s always something else to do just down the beach. The Shelter Cove Marina offers dining, shopping and family entertainment in the square, or stroll down the footpath to Dunes House Beach Club for a delicious fish taco on the beach. Hilton Head, South Carolina, lighthouse at twilight.